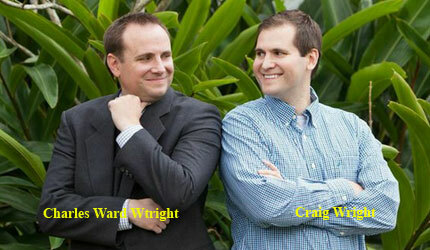 Charles Ward Wright, President & Craig Wright, Director of Engineering The growth of digital assets has been phenomenal in the media and entertainment industry. The importance of storing, accessing, distributing, repurposing and monetizing those assets is increasing with each passing day. This being the case, according to research by GISTICS, creative professionals spend an average of one out of every ten productive hours on file management. That includes searching, verification of permissions, organization, back-up and security. But one company, WAVE Corporation, is changing all that. Indeed, with a customer retention rate of over 95 percent, WAVE has demonstrated the competence and commitment required to implement sustainable asset management solutions that grow with a firm’s evolving business. Digital asset management is regaining attention in organizations. “This is because it's getting easier for employees to capture multimedia objects for work purposes, and the channels for employing them are multiplying,” said Gartner in a recent report. WAVE invests substantial efforts to establish a cohesive working relationship and become a part of the customers’ team—an advantage that the big-box vendors simply cannot provide. “This remains an integral component of our enduring customer success because it enables us to identify the areas of our clients that require improvement, as well as the portions that are best left intact,” says Charlie Ward Wright, President, WAVE Corporation. Further, this strategy of WAVE makes sense in M&E setups, where it is possible that friction can be spurred between the creative team and CIO’s Office, when the creative team wants to share assets and outsource work to external partners, but IT plays spoiled sport due to the potential security holes. “Fundamental to WAVE’s approach is the understanding that every implementation is much more than the installation of a software product. Our customers receive best practice consulting, comprehensive training, project deployment strategies, and an unwavering commitment to their satisfaction,” says Wright. MediaBank’s distributed architecture delivers a customer-tailored interface to securely share assets around the globe. The Asset Management module enables customers to organize, find, and track images, videos, and documents. The Workflow Management module helps customers to efficiently create and deliver creative content by both automating and enforcing processes. The Publishing Management module improves delivery of electronic content across mediums with digital mock-ups, remote proofing, centralized copy, and dynamic content links. The Product Management module aids in the administration of specifications, pricing, offers, relationships, and table information regarding product SKUs. All of the aforementioned modules operating in harmony with one another not only increases productivity across the different departments involved, but also improves visibility into the value of creative content and the processes employed to create and distribute it. The product blends its heritage in Digital Asset Management (DAM) with Business Process Management (BPM) to deliver a new breed of software that is far more effective in today’s adaptive multi-channel environment. Integrating a complete BPM tool into MediaBank Gold, WAVE paves the way for businesses to create and use their content. “With a click of a button, all relevant assets for that particular work are immediately available. Additionally, to improve communications and decision making with intuitive charts and graphs of system usage, MediaBank Gold utilizes a robust analytic engine that calculates and stores the history of its status, assets, and user performed events,” says Wright. Apart from this, taking a cue from the successful omni-channel approach in the retail industry, Wright and his team incorporated features from their B.media, a Content Management System (CMS) application that powers the collection, administration, and multi-channel distribution of digital information— into WAVE’s MediaBank Gold. MediaBank Gold has found its way into the arsenal of many reputed firms such as RR Donnelley, Publix and LL Bean. The RR Donnelley MediaCompass technology suite has utilized WAVE’s MediaBank as its DAM foundation for many years to empower its pre-media and print offerings. Today as an omni-channel solutions and services provider, RR Donnelley is re-discovering MediaBank’s value as an essential element to project collaboration, packaging labels, digimags, e-mail campaigns, web delivery, and more. At Publix, MediaBank’s life began as a simple photography archive. Today, it has spread its wings to exciting new areas of the business including real estate, circular publishing, and ever increasing digital initiatives. LL Bean is another great example of the benefits that result from forming a strong SME group from DAM/CMS. Since coming off of a deprecated DAM solution a little over a year ago, they have made great strides in streamlining content creation processes and establishing a centralized content repository that is accessed company wide. WAVE’s most fundamental corporate strategy is simply that ‘People Matter’. “Show me a company that has engaged happy employees and customers, and I’ll show you a thriving business prepared to conquer any obstacle,” challenges Wright. At WAVE, innovation is the byproduct of having successful people striving for perfection towards a common goal. In this respect, WAVE’s greatest investment in innovation is the ongoing commitment to developing the capabilities of its team. Whether designing a product from scratch or integrating off-the-shelf products into a system, the expertise of the engineers and dedication of the employees at WAVE Corporation is what sets it apart from its competitors. Wright believes that the single most important aspect of staying competitive and delivering to customers is finding the right people and cultivating an environment for their health and growth. “Being capable of performing your job responsibilities is only one component of a successful person,” delineates Wright. According to Wright, a loving network of family and friends, a healthy body, a positive demeanor, the freedom to pursue your goals, and the discipline to achieve them, are also critical aspects in developing a successful person and being a viable contributor to a profitable company. “Moreover, we have found that this devoted focus on the development of good people has also strengthened our ability to keep them,” says Wright. Apart from the aforementioned traits, WAVE, goes beyond simply acquiescing to a customer request, and invests efforts to identify the underlying need driving the request. In doing so, Wright and his team are often able to provide a solution that the customer prefers to their original request. The origins of WAVE Corporation largely follow the familiar American business startup storyline. It all began in 1987 with two guys in a garage, Ward Wright and Les Veres. In fact, WAVE’s name is an acronym for Wright And Veres Engineering. The company grew and evolved over the years with each successive engineering triumph. Fast forward to 2012; when WAVE showed its disdain for complacency by delivering its first release of MediaBank Gold, a complete overhaul of their established code-base. This new platform combines WAVE’s collective industry experience with cutting-edge software architectures and technologies, developed by the proven WAVE engineering team. Following in their father’s footsteps and already ten year employees, the Wright Bros., Charlie and Craig, were key drivers in architecting and delivering this monumental project. Charlie enjoys a good round of golf largely because it feeds this same intrinsic hunger for more. “It doesn’t have a finite end. There is always room for improvement,” says Wright. The recent selection of Charlie Wright as President is a testament to his years of diverse contributions from product development to customer relations. With Charlie’s capable brother, Craig Wright, achieving and building such great things on the engineering side, the company appears ripe for many years of success. While many technical organizations struggle with succeeding talent, WAVE appears to have doubled down on it with a bright young team and a Wright Bros. duo prepared to take flight in a new era. Whether it is producing, editing or sharing digital information, Digital Asset Management (DAM) is a smarter way of doing business. Gartner’s industry report, says that up to 22 percent of companies will be investigating digital asset management within the next year. With many of its long-time customers now on the new MediaBank Gold platform, WAVE will leverage its recent successes to create new opportunities. A few highlights of the upcoming product enhancements include extended “big data” analytics to promote informed decision making, Web Authoring and Site Management, and intelligent content links within Multi-media and Interactive deliverables. With MediaBank Gold, WAVE has shed new light on Media Assets, and is spreading across departments with customers using it to deliver to new channels, and realizing benefits that seemed unreachable just a few years ago. That being the case, WAVE has struck all the right notes by enveloping its team’s engineering expertise with an appreciation for customer satisfaction and has only ensured the continual evolution of the company.